i broke all my brushes. i'm not making excuses, either. the project evolves into whatever it's supposed to. they're getting even less refined, which i like. coarse art is what i like, after all. 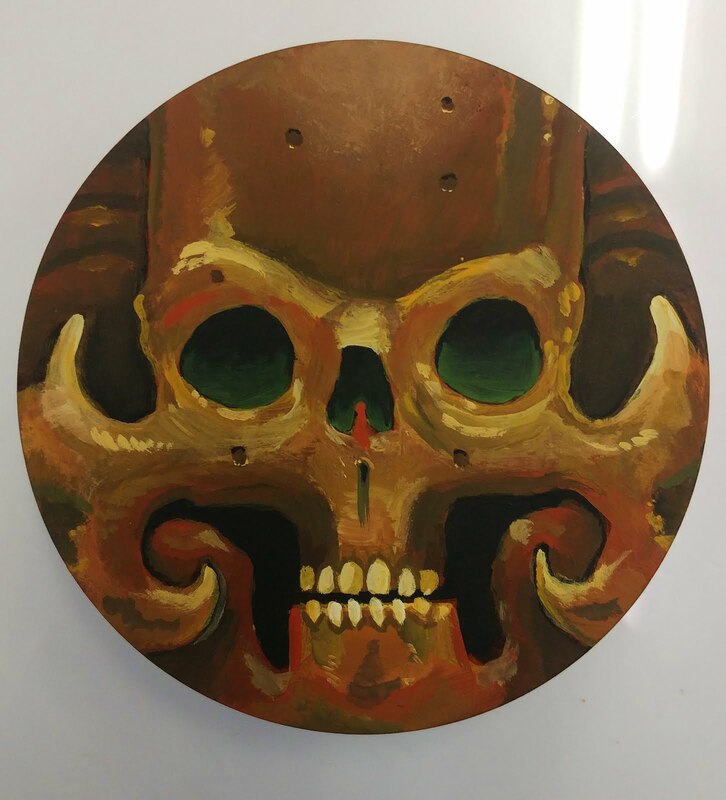 i painted a flippin' skull, because i am reassuringly/disappointingly predictable. ...always doing somethin' that does't really matter, probably. art is cool and all, but we'd probably be fine without it? so, i hope you at least think you need it, even though you literally do NOT. it's fancy and unnecessary and therefore you HAVE to have it. AMPERSAND TATTOO has all the circles in between all the right angles. who have ever taken a seat on that side of the space. come be one more of those professional art appreciators.